While parents want their kids to grow into productive and independent members of society, teen drivers getting their driver’s license is often a cause for worry. Teen driving statistics are nothing to smile about, and the numbers consistently peg teenage drivers as the most dangerous of the different driver age groups. With students now back to school, parents contend with the possibility of teen drivers picking up their friends - another reason for concern, as studies have shown that the more people in the car, the more likely 16- to 17-year-old drivers to become involved in fatal crashes. 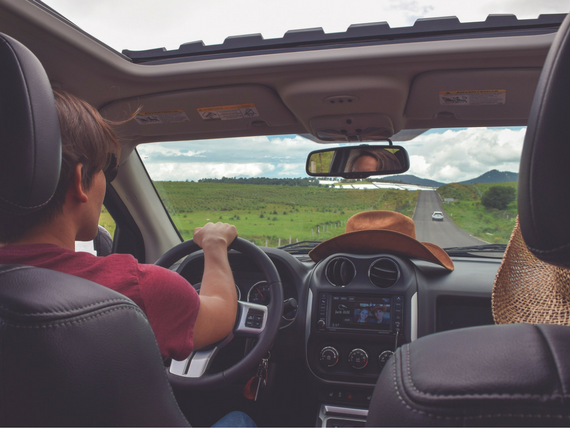 This article shows you what to expect from your teen driver’s carpool and what to do to empower your teenage driver to stay safe. In the 2017 State of Colorado Seat Belt Survey conducted by the Colorado Department of Transportation (CDOT), Office of Transportation Safety (OTS), seat belt usage in Colorado has been declining for two years in a row now. From 85.2% in 2015, it went down to 84% in 2016, and then further down to 83.8% in 2017. Christie Haskell, who was 17 when she sustained serious injuries in a 2002 car crash, says “[P]eople should spend the two seconds it takes to buckle up.” An unbelted passenger slammed into her when the vehicle they were in got hit on the driver side, forcing her face to break the window next to her. Thankfully, she only sustained minor injuries. Seat belts save lives. That cannot be overemphasized. Remind your teenage driver to always - ALWAYS - buckle up and never allow the number of passengers inside the car to total more than the number of seat belts available. Remember, all it takes is two seconds to fasten a seat belt. Driving distractions come in many forms: calling and texting, using a navigation app, fiddling with the car stereo, eating and drinking, talking with other passengers, putting makeup on, taking selfies, watching videos, looking at the scenery outside the window - practically anything that takes your focus away from driving and the road ahead is a distraction. And because teenagers have a hard time parting with their mobile gadgets, install safe driving apps on their phones to keep them from texting and driving. In your parent-taught driver’s ed sessions, make sure they know everything to know about driving distractions and the deadly consequences associated with not paying attention. Better yet, get them to practice commentary driving (despite their friends sniggering) to boost their concentration and polish their safe driving skills. What is worrisome about running late is your teen driver making dangerous driving decisions such as speeding, tailgating, and weaving in and out of traffic just to make it to school on time. As such, encourage them to get a good night’s sleep (sleep deprivation is an epidemic among teens, says Stanford), leave the house early, and allow themselves enough time for possible traffic contingencies. New and young drivers need all the help they can get to evolve into the safe drivers we all want them to be for the rest of their lives. As such, never grow tired of reminding them what needs to be done, even when it feels like you have been saying the same things a million times. When they are older and wiser, they will probably even thank you for the constant badgering. If your teenage driver’s safe driving skills need some work, WSDI offers Colorado driver’s ed courses in our branches in Denver, Parker, Grand Junction, Littleton South, and Littleton West. Call us today, so we can show you how we can help.